A victim of domestic violence can have many faces. Daughters are the primary victims. Whether your daughter is fifteen or forty, it’s every parent’s nightmare to watch her remain in an abusive relationship. As a mother, you hope is to raise your daughter to be a self-reliant and intelligent person with good self-esteem. Domestic violence isn’t supposed to happen to daughters like yours. So why does she remain in an abusive relationship, one that makes her feel bad about herself or worse, that harms her both emotionally AND physically? McGrath says that often women stay in domestic violence laden relationships because they think they can change his behavior with her love and patience. Or they may be hooked by his inconsistent behavior. And sadly, she may be afraid of what he will do if she breaks up with him. Of course you want to help. But how? Is he encouraging you to fulfill your potential? What type of relationship would you like your sister or best friend to have? Questions like these will help prompt her to think about her relationship and seek those answers on her own. When she opens up to you try hard to listen to her and refrain from judging her. Show her that you’re willing to listen to her. Make her feel comfortable in knowing that she can confide in you when she’s ready. Psychotherapist Gudrun Frerichs, told SelfGrowth.com, that victims need to share their stories and feel secure in the fact that someone is there to hear them express their emotions. Don’t give your daughter advice about what she needs to do or comment on what you believe she’s failing to do. If she believes she is being blamed or judged, shame may prevent her from confiding in you. Abusers like to control their victim by isolating them, both physically and socially, from any type of support network. Because of this, encourage her to spend time with family and her friends. Do something fun and enjoyable together to help lift her spirits whenever you are with her. When you have her ear in private, help her understand the serious nature of abuse and remind her that it isn’t her fault. Reassure her of her strengths and remind her of the confidence you have in her. HelpGuide.org suggests that women who are victims of domestic violence or in an emotionally abusive relationship prepare for emergencies by knowing their abuser’s red flags and identifying safe areas in the home. Encourage her to go to see a therapist or join a support group. 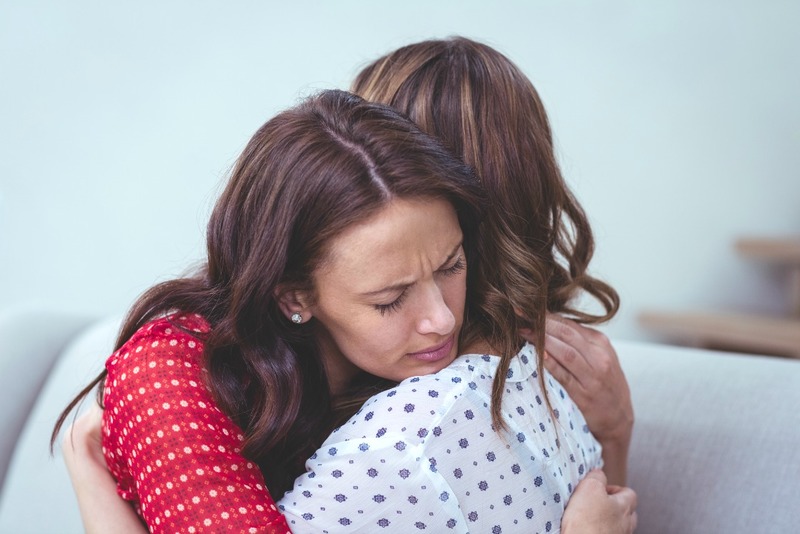 Though she feels close to you as her mother, sometimes victims of abuse feel more comfortable discussing it with a trained professional or with a group of women who have encountered some type of abuse as well. And always, always remind her that you will be there for her no matter what.